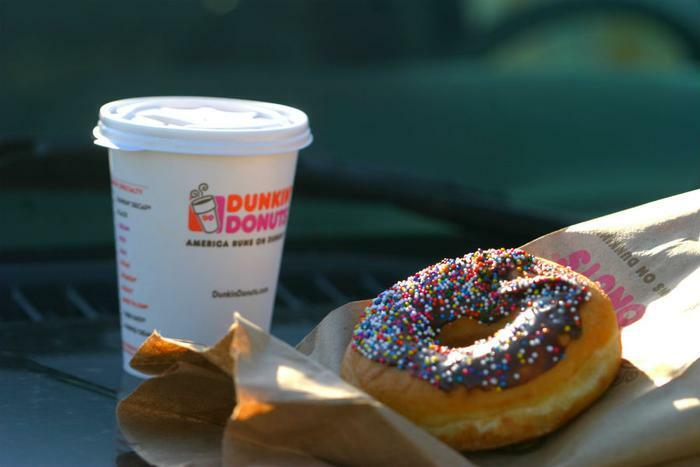 Dunkin’ Donuts announced that it will start phasing out its controversial foam cups and replacing them with double-walled paper cups. The Massachusetts-based coffee company will begin the process in New York and California this spring, with a targeted completion date of 2020. "Transitioning away from foam has been a critical goal for Dunkin' Donuts U.S., and with the double-walled cup, we will be able to offer a replacement that meets the needs and expectations of both our customers and the communities we serve," the company said in a statement. By ceasing the use of styrofoam cups, the company estimates it will remove a billion of them each year from the waste stream. Dunkin’ says it uses about two billion cups per year. Foam packaging decomposes slowly and often ends up in oceans, posing a health hazard to marine life and other animals that ingest it. Environmentally-concerned consumers have pushed for the cups to be banned for years. The company said it has been searching for a replacement to its foam cups for at least six years. The new cups will be recyclable, double-walled paper cups certified by the Sustainable Forestry Initiative Standard, which means the paper is responsibly sourced. Dunkin’ isn’t the first chain restaurant to take steps to become greener. Starbucks uses paper cups, and McDonald’s said last month that it would use only recycled or other environmentally friendly materials for its soda cups, Happy Meal boxes, and other packaging by 2025.